We spoke with Inside Sales Manager, Chuck Duggins, about how the parts department has grown over the last several years. He said Louisville Switching has seen a rapid increase in growth of sales parts since 2017. 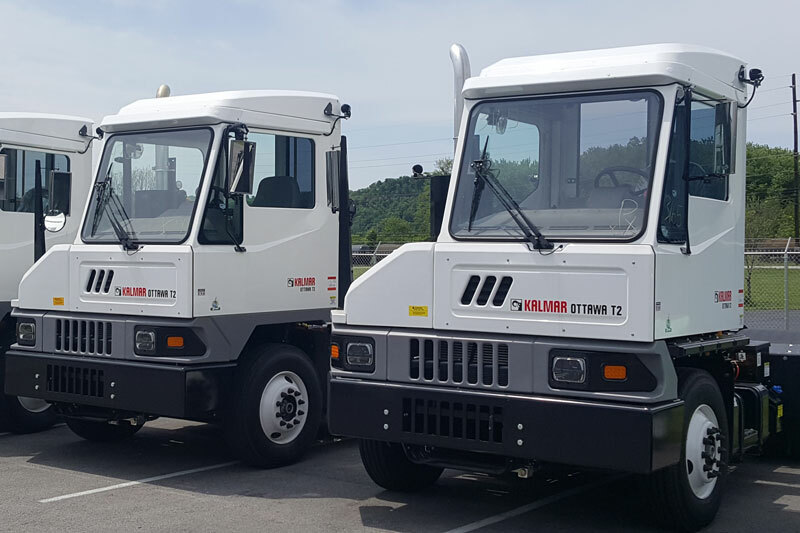 As Kalmar Ottawa's premier parts dealer, we are honored to work with and partner with astounding brands such as Kalmar Ottawa, Interstate Batteries, Weller Re-manufacturing, Cummins, Insta-Chain and Reviva. We've mentioned before our two foundations here are having a thorough knowledge of the terminal tractor industry and maintaining a strong dedication to providing our valued customers with the highest quality of services. This characteristic is what makes Louisville Switching the preferred vendo/partner that customers come back to for trusted quality and performance. Chuck said that many of the customers he interacts with have not receive personalized service from other vendors. They appreciate this aspect that we provide them with at Louisville Switching. Our expertise and knowledge of terminal tractor parts gives our customers a one-on-one informational session to answer specific questions they have, no purchase required. We want our clientele to be informed and knowledgeable about their own trucks. From how much oil their truck can hold to how to install a part, having insider information from a trusted source is every truck owner's dream that saves them valuable resources like time and money. This is why we are your trusted parts supplier. We will ship parts to anyone that is in need. Watch our interview with Chuck here to get to know more about his role within our parts department as Sales Manager. If you are interested in seeing how Louisville Switching can assist you in any of your terminal tractor needs, contact us here.